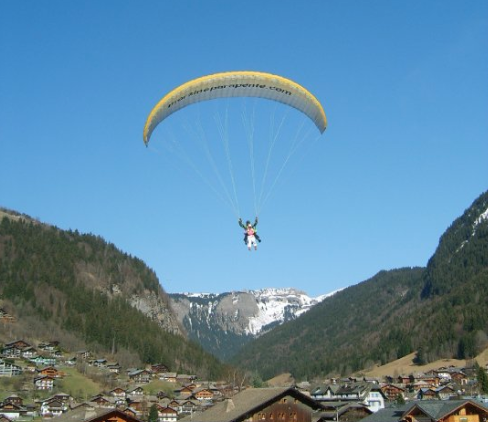 Paragliding in Morzine, Portes du Solei, France. attached to the experienced parapenter who was doing all of the real work! beautiful, bright and sunny Sunday during the winter but summer is the time toreally get involved in this fab activity. the air floating above Morzine town. streets, cars and people below were all tiny models of themselves. I enjoyed the elation of having experienced a truly unique experience. advice would be do not delay, get involved and book it up – you won’t regret it! Next: Start your ascent from Hotel L’Aubergade in Morzine!